The solid career choice available in the health care sector is pharmacy technician. We know that these health care jobs are steadily increasing every year and it is expected to have higher growth by next decade. Pharmacy is available with the health care at every stage and this ensures that there is a stable career path for the pharmacy technician both for the short term as well as for the long term. In this article you will find some tips that can help you to know about the actual process of how to choose this career. Before choosing this profession as your career choice, firstly let us learn about the responsibilities that these pharmacy technicians perform in their daily life. What is the role of pharmacy tech in health care sector? 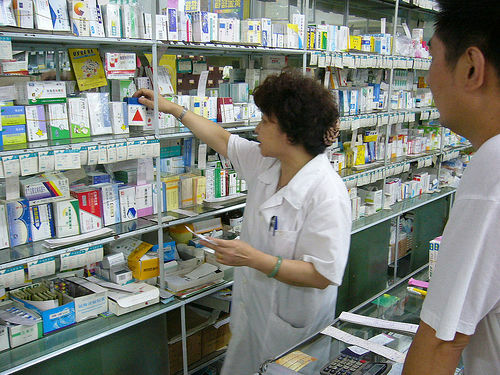 Pharmacy technicians perform several responsibilities as they work in different venues. These responsibilities differ from one venue to another. However many pharmacy techs work for retail stores and they can even work for hospitals, mail order pharmacies, health care facilities and even in the military bases. In some cases even the insurance companies require the assistance of pharmacy technician in order to adjust claims as well as to perform some paper work. These pharmacy technicians work in coordination with the patients or customers under the guidance of licensed pharmacist. They will be responsible for performing all major tasks that need to be done by pharmacist. They should possess in depth knowledge about the pharmacy operations. Apart from providing appropriate medications to the patients, they will perform the activities like decoding prescriptions, data entry, labeling, administrative tasks and many more. They perform all the responsibilities related to pharmacy but in fact they will be unable to do every task related to pharmacy. They cannot answer all the queries that are associated with medications or they may not give advice. They can just assist the customer about OTC products and they can even read some words available on packaging. In fact they never have the ability to give personal assistance in usage of particular drug product. However the main goal for the pharmacy technician is assisting licensed pharmacist to help customers and the patients. Pharmacy technicians need to be quite attentive as well as accurate. They should even have great knowledge and should be friendly. Yes it is better to have certification to have a bright career as pharmacy technician. Many states and even employers are looking for the individuals who have national certification. However the regulations and requirements to get this certification will vary from one state to another. Before joining any pharmacy training school the first thing that you should find is requirements of particular state or the employer. However the minimum requirement for the pharmacy technician is get registered and should have updated license from their respective states. In U.S the individuals need to have the certification from ICPT or PTCB in order to be employed as pharmacy technician. However if the state is not demanding you to have certification then may be the employer asks you for certification. So it is better to get the national certification, in case you are planning to start your career as pharmacy tech. some of the subjects that are included in this training program include pharmacy Math, Prescription decoding, parenteral Nutrition, pharmacy laws, abbreviations and many more. So what does this national certification exam include? Let us take the examination of the mostly accepted PTCB as this is available in this field for longer time and it even has huge reputation in providing this training program. This test that is given by PTCB includes 90 questions of multiple choices and you will have 120 minutes in order to complete this exam. So what are the earnings of this pharmacy technician? Salaries of pharmacy technician vary from one location to another. However the average salary of pharmacy technician is $14 per hour and this varies according to location, education and certification. In order to have higher earnings, it is better to undergo training as well as certification in this related field. This article was written by Jason Holmes a certified pharmacists who is having 7 years experience in pharmacy industry.